The perfect personalised honeymoon momento gift. This cream cushion, printed with the photo of ypour choice is the perfect gift for a happy couple who have just returned from the Honeymoon of a lifetime. The personalised photo cuhion also makes a great anniversary gift for a happily married couple. The tradtional gift for a second wedding anniversary is cottong, making this the ideal cotton anniversary gift. 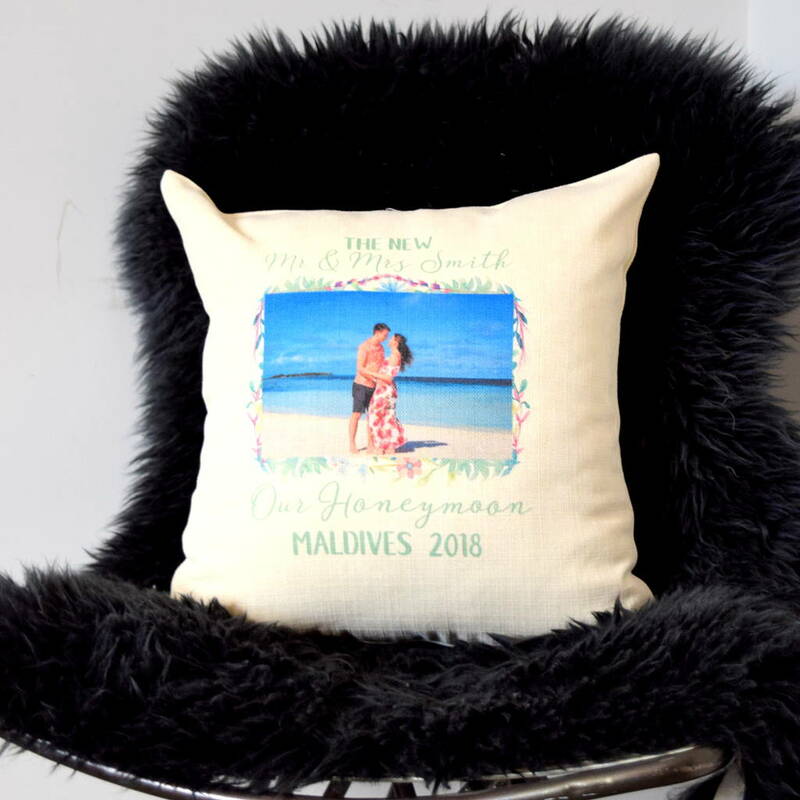 The cushion is personalised with Mr & Mrs, Mr & Mr or Mrs & Mrs - the surname of your choice and the location of your choice, making this a truly personal gift that will be treasured for years to come and put pride of place in the newlyweds home. 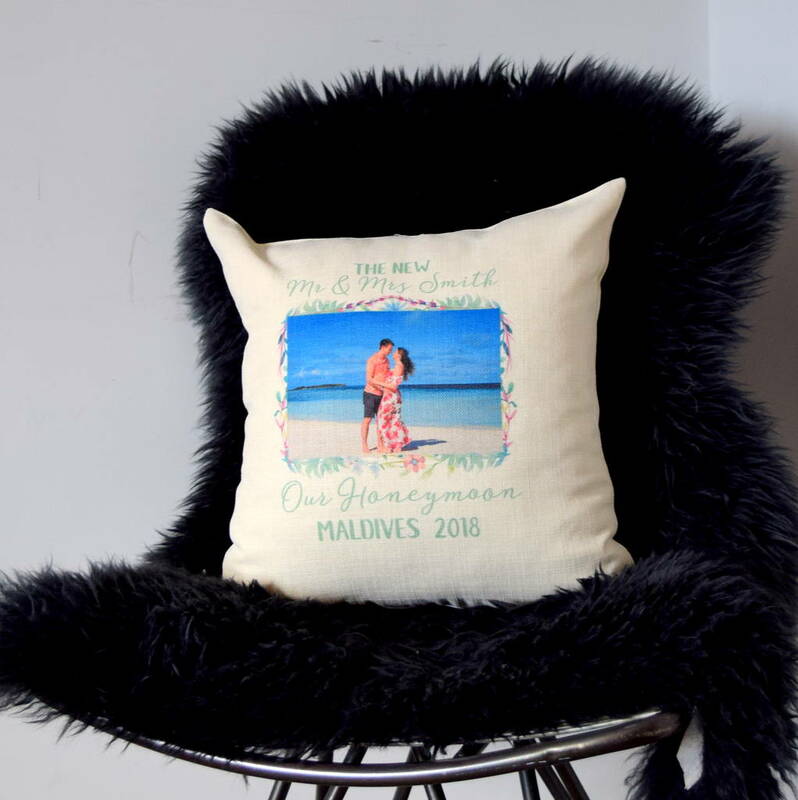 The cushion is printed with the photo of your choice.